Fairtrade was set up by charities to give those in the developing world a better deal. Conventional trade can discriminate against the poorest, weakest workers, but by making companies pay above market prices, Fairtrade addresses these injustices. It secures decent working conditions, local sustainability, better prices and fair terms of trade for farmers and workers, allowing them to have more control over their lives. There is a big difference between Fairtrade and ethical trading. The latter means that companies with third world suppliers have ensured these suppliers respect the basic labour rights of employees. The aim of Fairtrade is not merely to prevent the exploitation of workers but to help improve people's lives. It is the only independent consumer guarantee of fair trade and is based on internationally-agreed criteria. Fairtrade is applied to products rather than companies, and provides disadvantaged, small producers with fair prices for these products. Pay a price that covers the costs of sustainable production and living. Pay an extra premium that producers can invest in social or economic development projects. Make partial advance payments if required. Sign contracts that allow sustainable production and long-term planning. There are about a million farmers and workers directly involved in Fairtrade, coming from more than 58 countries in Africa, Asia and Latin America. Millions more benefit indirectly from the investments in communities of the social premium. Producers are inspected and monitored and continually encouraged to improve working conditions and product quality, increase the environmental stability of their activities and invest in the development of their organisations and welfare of their workers. In a relatively short time, Fairtrade products have become big business in the UK. Fairtrade labelling was established in Holland in 1988 when it was used on Mexican coffee. It is now established in 20 countries, including Japan, Australia and New Zealand, throughout Europe and North America, and of those the UK has the largest market. 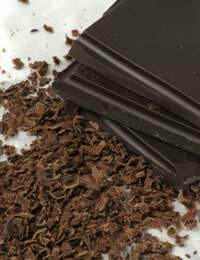 The first product to carry the Fairtrade mark in Britain was an organic chocolate in March 1994. The first tea and coffees followed that year and by 1998 the UK Fairtrade market was worth £16.7 million. By 2005, sales of Fairtrade products in Britain had topped £195 million, and a poll the same year revealed that 50 per cent of the UK's adult population could identify the Fairtrade label. The label is awarded by the Fairtrade Foundation, a registered charity set up by Christian Aid, Oxfam, the Catholic Agency For Overseas Development, Traidcraft Exchange and the World Development Movement. It appears on more than 2000 products, which are available in supermarkets, wholefood shops, fair trade shops, and by mail order. All Fairtrade products are free of genetically modified organisms and there is a range of organic products, including chocolate, tea, coffee, honey, and cocoa. Initially, Fairtrade focused on agricultural commodities that have the most widespread impact on the livelihoods of small producers in the developing world, but it has since diversified and there is now Fairtrade bananas, cotton, fresh and dried fruit, fresh vegetables, juices, nuts and oil seeds, purees, Quinoa, rice, spices, sugar, wine, cut flowers, ornamental plants, and sports balls.